Home » News » Where’s the Caribbean component of “Turn Down the Heat”? Where’s the Caribbean component of “Turn Down the Heat”? 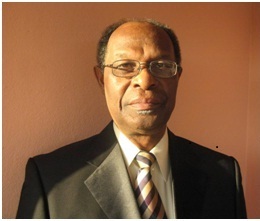 Executive Director of the Caribbean Community Climate Change Centre Dr. Kenrick Leslie, CBE, says “it would be informative and useful” if a Caribbean-centred study akin to the World Bank’s Turn Down the Heat: Climate extremes, regional impacts and the case for resilience, which focuses on Sub-Saharan Africa, South East Asia and South Asia, is conducted. Turn Down the Heat says it is now very likely that the increase in average global temperature could be as high as 4oC, 2.5 oC more than what the Centre has advocated as a critical threshold for the region since 2009— a position strongly supported by the latest science. Whereas the World Bank Report dealt in depth with the impact of a 3oC to 4oC temperature rise on the risks of climate change to development in Sub-Saharan Africa, South East Asia and South Asia, such an in depth study is yet to be done for our region which is considered one of the most vulnerable to the impacts of Climate Change. Such a study is particularly important for the region as the Intergovernmental Panel on Climate Change (IPCC) highlighted the Caribbean as one of the most vulnerable areas to Climate Change in its Fourth Assessment Review. It further recommended that average global temperature should not exceed 2oC if the region was to avoid significant climate and development impacts. Dr. Leslie was speaking at the recently concluded (July 15-16) Caribbean Regional Workshop on Climate Change Finance and the Green Climate Fund in Barbados. Review Dr. Leslie’s speech here. Learn more about Turn Down the Heat. By caribbeanclimate in News on July 22, 2013 .